First off, congratulations to Ukraine’s Jamala for winning this year’s Eurovision Song Contest. While the song wasn’t really my taste – it had a little too much of a Björk vibe for my liking – at least it was something completely different than the large pool of homogenized Eurodance we got served this edition. Jamala’s song ‘1944’ had a dark vibe and a slightly surprising structure and although I doubt if that was of much concern to the average televoter, I do think the fact that the song stood out has worked in its favor. I can live with this more than with last year’s winner. Still, and I’ve said this many times before, Turkey and the EBC need to sort out whatever differences they have, so that Turkey can take part again. That’ll drive the average level up for sure. Kudos to the moderators as well. And Petra Mede in particular. I think the presentation this year was a step away from the self-conscious air that it usually has, allowing for more irony and self-deprecating humor. That was a breath of fresh air. Also, separating the televoters from the jury results was an interesting development. Don’t get me wrong: the televoting section definitely needs some work done, but I have always been very interested especially how the jury votes. 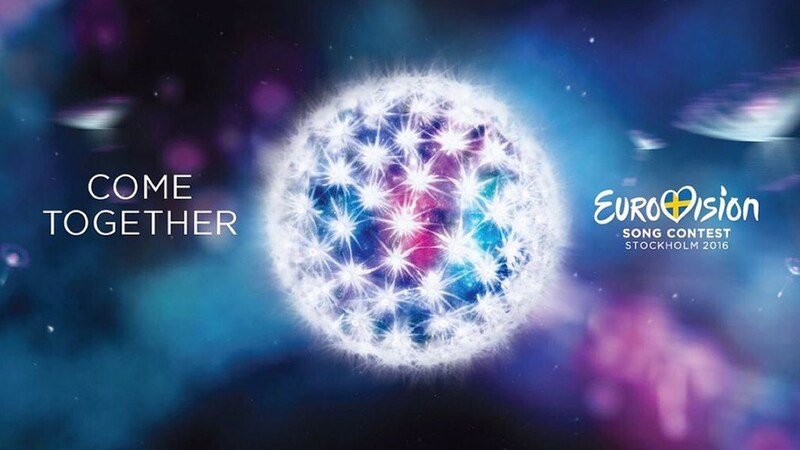 I still have a dream to one day write a Eurovision song and if that ever happens and I’d win the jury vote, I’d be quite pleased. However, the improvement on the presentation side doesn’t excuse the insulting quality of the actual songs this year. As I’ve said before, quite a lot of songs sounded very similar – no doubt a result of the Swedish composition and production teams being in high demand – and I still can’t believe how so many people can fit so much repetition into three minute songs. It speaks volumes that Justin Timberlake, the interval act, was by far the highlight of the night. Having said that, I did manage to appreciate five songs – my six, sept, huit, dix and douze points, if you will – enough to list them here. I’d even like to throw in an honorable mention for Poland’s Michał Szpak; though I didn’t like his song ‘Color Of Your Life’, I thought his highly spirited performance is the best Polish singing I’ve heard since Czesław Niemen. But I digress. Good evening Stockholm, Heerhugowaard calling. Here are the results from the alternative Dutch jury. While I have a really nagging problem with ‘If Love Was A Crime’, I’d be lying if I said Poli Genova’s enthusiasm didn’t somehow rub off on me. Sure, the costume that lighted up has been sort of point of interest, but I really don’t care about things like that. Just the way she looked genuinely happy to be there was a much larger part of why I appreciated her performance. Her vocal approach really fits the song well. Having said that, the large amount of repetition got on my nerves, but I do appreciate the composers for not cramming the song with vocals and lyrics. Also, the addition of a Bulgarian line in the chorus is something I find charming. To be honest, I don’t recall Genova’s performance of five years ago, but I’m not complaining about her fourth place this year. Admittedly, my appreciation for this song is mainly directed at Freddie’s powerful, rough-edged vocal performance rather than the song itself. ‘Pioneer’ does play with dynamics quite well by having a calmer bridge between bigger verses and choruses, but I am also an outspoken hater of whistling in songs – ‘(Sittin’ On) The Dock Of The Bay’ is the only song I will make an exception for. But then there’s Freddie’s mighty roar that leads from the middle eight into the final chorus that made the hairs on my arms stand up in a very, very positive way. If I was part of his songwriting team, I would see if I could make some AOR tunes to fit his voice, because he has the potential to be Hungary’s answer to Michael Bolton or John Waite. He’d deserve it. BBC-host Graham Norton was right that the visual effects that were chosen for ‘Midnight Gold’ were embarrassing even in 1976, but the song itself is pretty good. I wasn’t surprised to see that the jury in the United Kingdom gave this song twelve points, because a large portion of the song has a distinct Oasis-like vibe. The main riff stomps along nicely, I dig the guitar sound and Nika Kocharov’s vocals fit the song really well, whilst forsaking the whiny tone that Britpop singers tend to have. Unlike the other Rock-ish track (Minus One’s ‘Alter Ego’ for Cyprus), the song didn’t get completely neutered by working on it with Thomas G:son. Not quite as good as Nina Sublatti’s ‘Warrior’ that should have won last year, but another impressive entry from Georgia. While 19-year old Laura Tesoro had the ungrateful task of kicking off the grand final, I was happy to see that the jury and to a lesser extent the televoters could appreciate the refreshing ‘What’s The Pressure’. Co-written by the amazing Selah Sue, the song has a distinct old school Disco vibe, almost Chic-ish in sound, which was a pleasant departure from the general sound of the night. If it came later, it may have disrupted the lazy Eurodance flow a little. Although I think Tesoro’s vocal performance was better during the semi-finals, I appreciate the energy with which she opened the night and the positive charisma she emitted. Also, I don’t know which musicians have played on this track, but I absolutely love the bass line that carries the song. Ten points! Explaining why a non-European country takes part would take too much time, but Dami Im’s ‘Sound Of Silence’ (no, not that song) was picked by the juries as the best song of the Contest by a landslide and I’m with them. Easily the best singer to take part this year, Im pulled me in with her powerful and spirited vocals. Im’s sober performance almost contrasted with her tremendous vocal presence, but that doesn’t hurt the entry one bit. ‘Sound Of Silence’ is well-written, if somewhat unspectacular, although I think there’s a very strong climax in the form of the song’s chorus. It may have been better if it didn’t try to blend the classic Eurovision balladry with a contemporary production, but it’s easy to forget that after Im’s chilling performance.